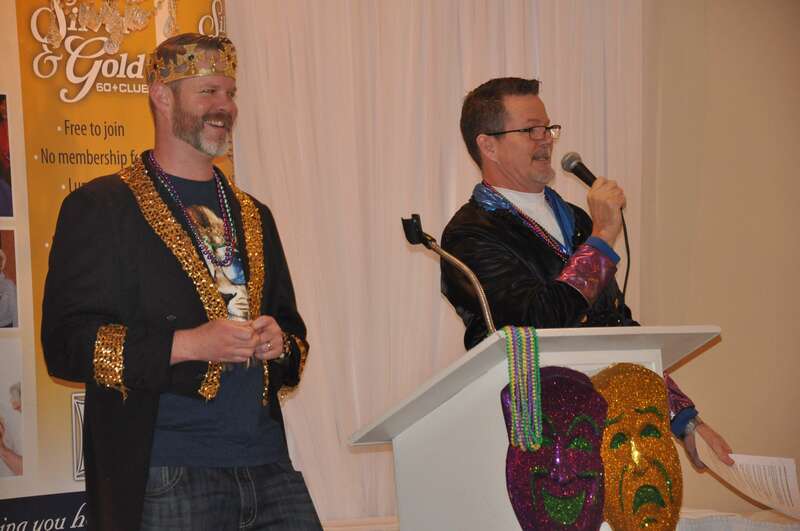 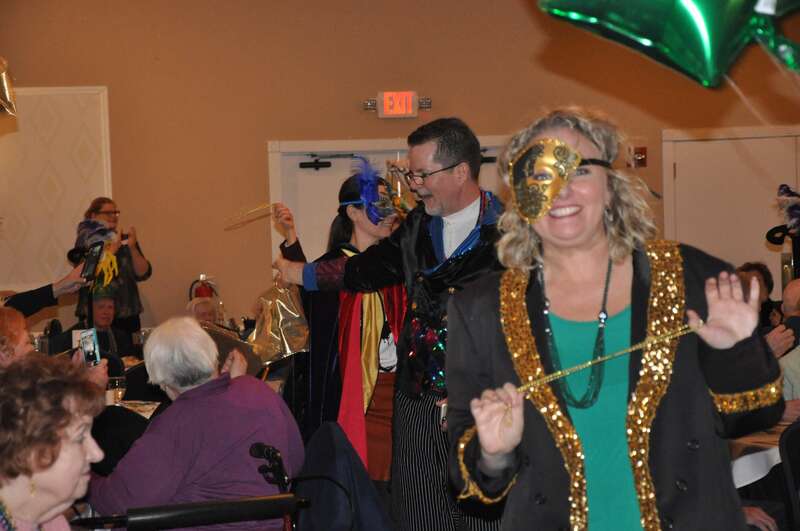 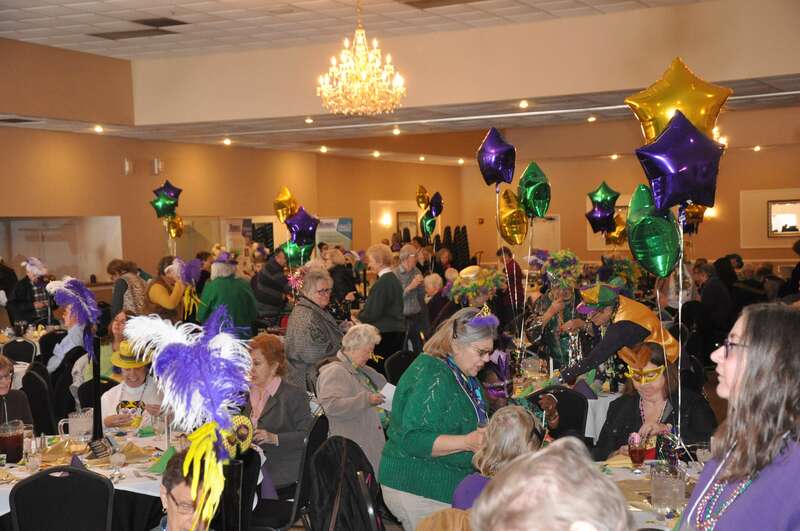 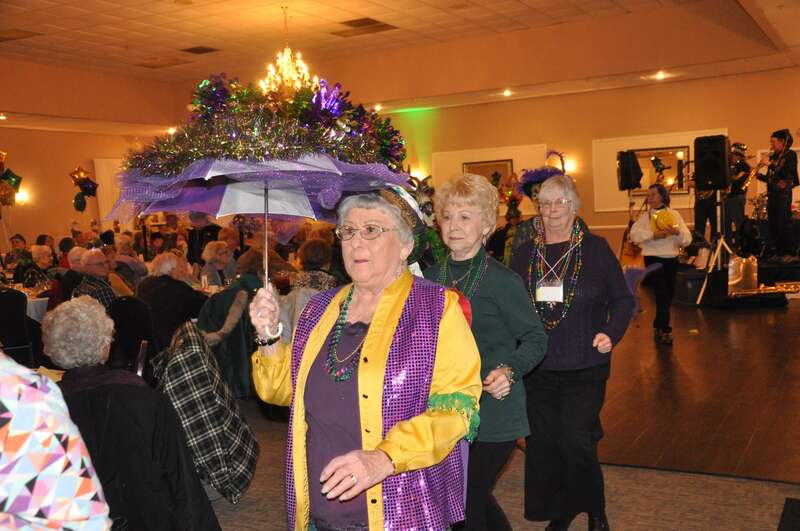 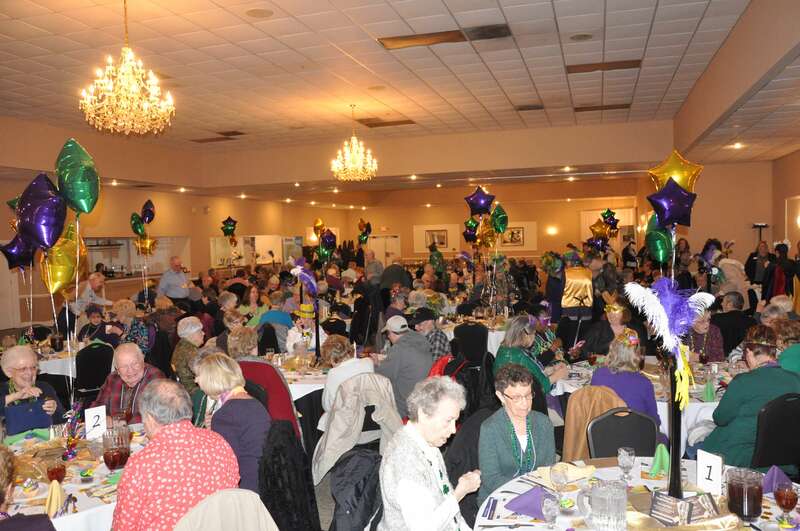 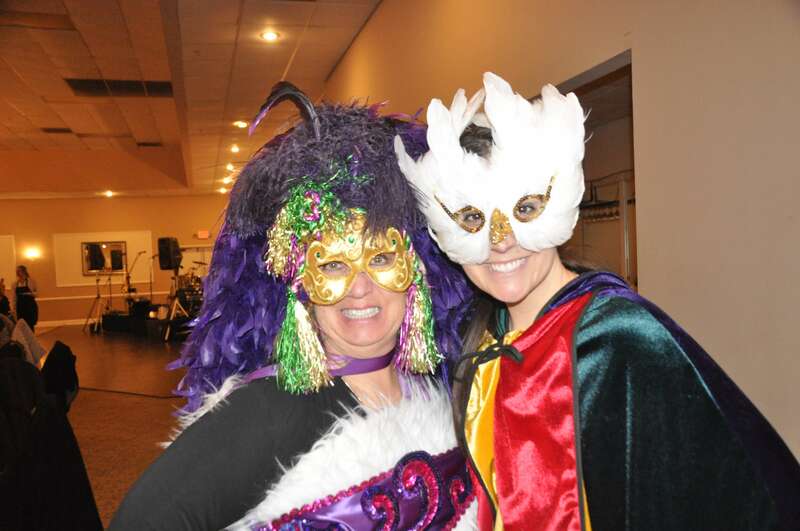 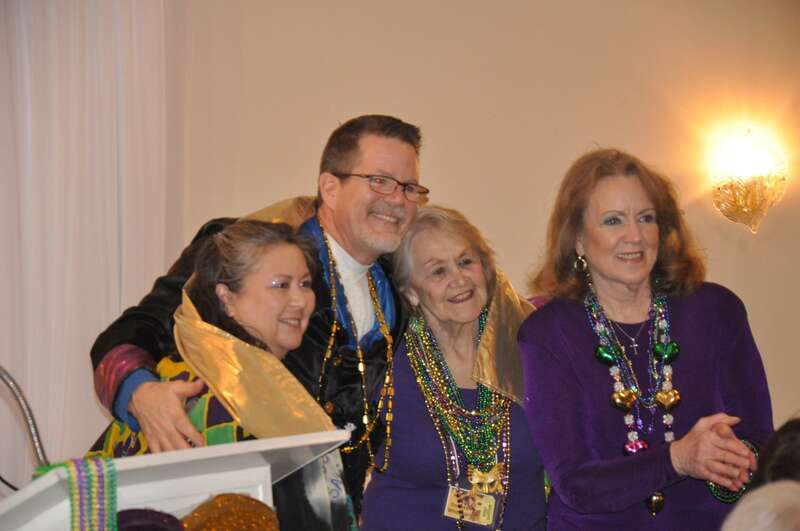 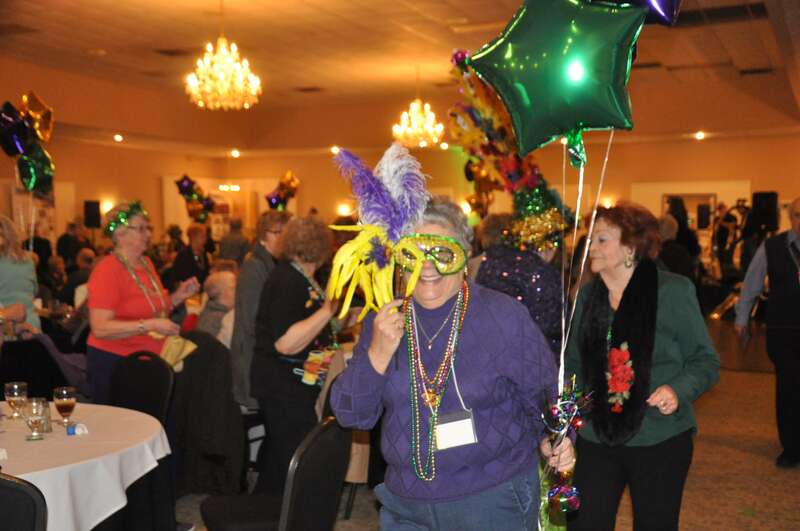 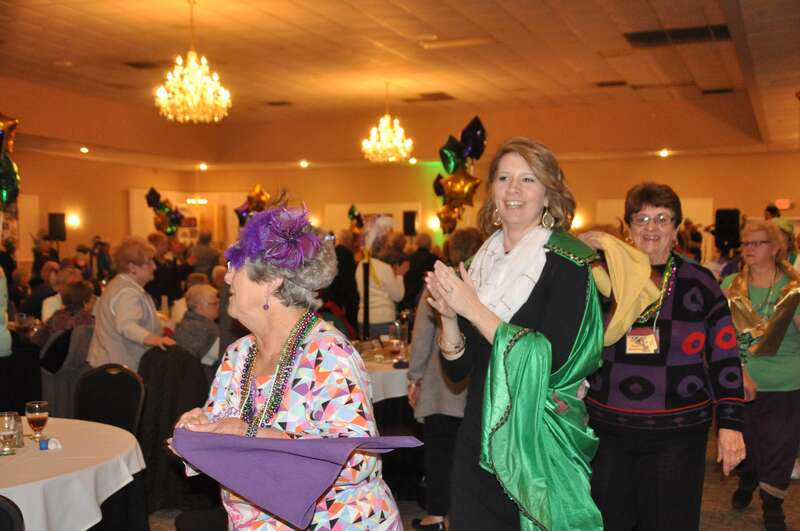 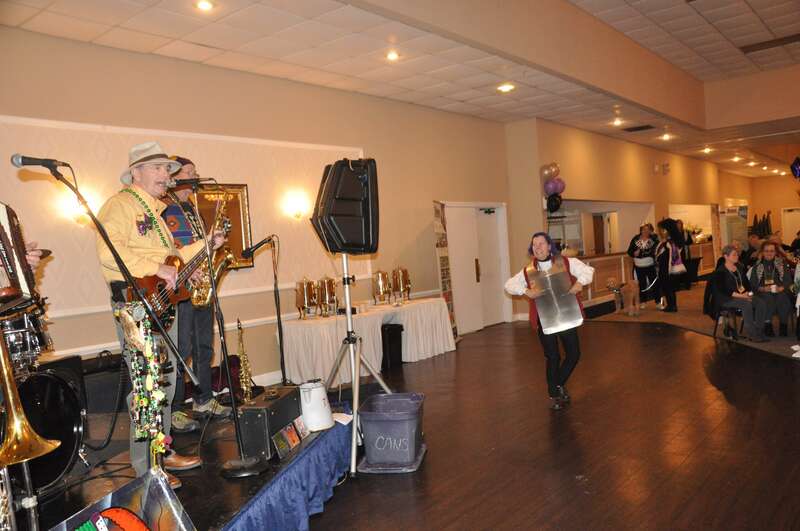 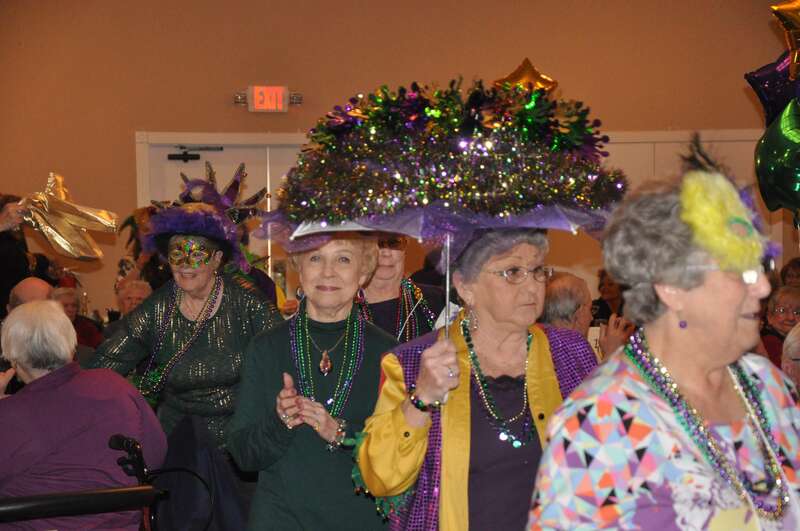 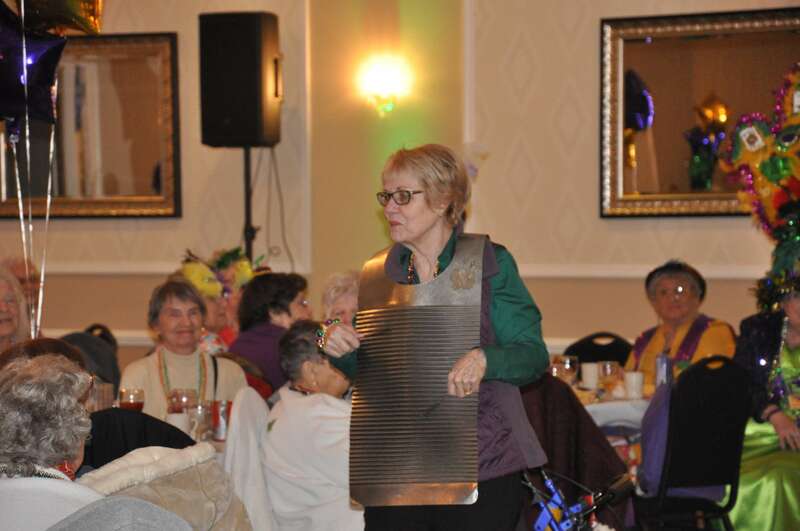 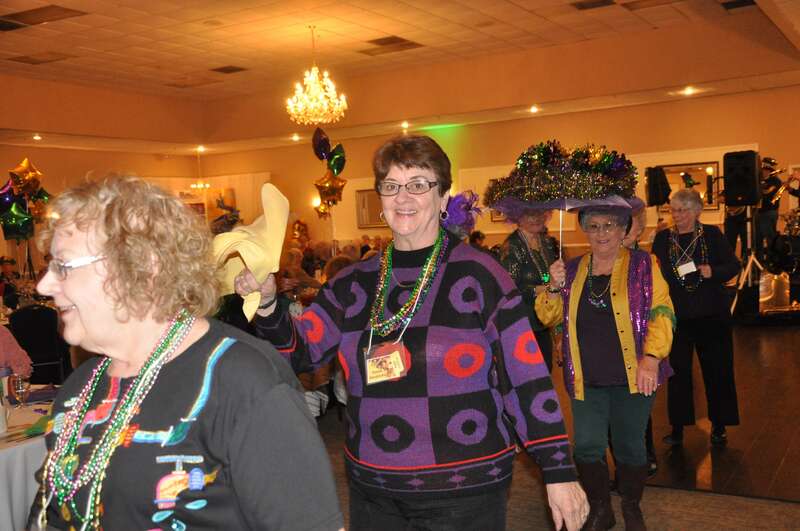 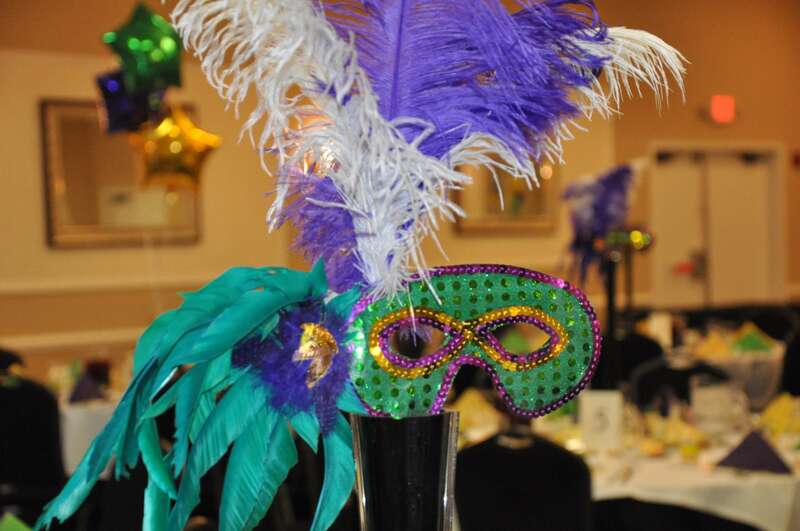 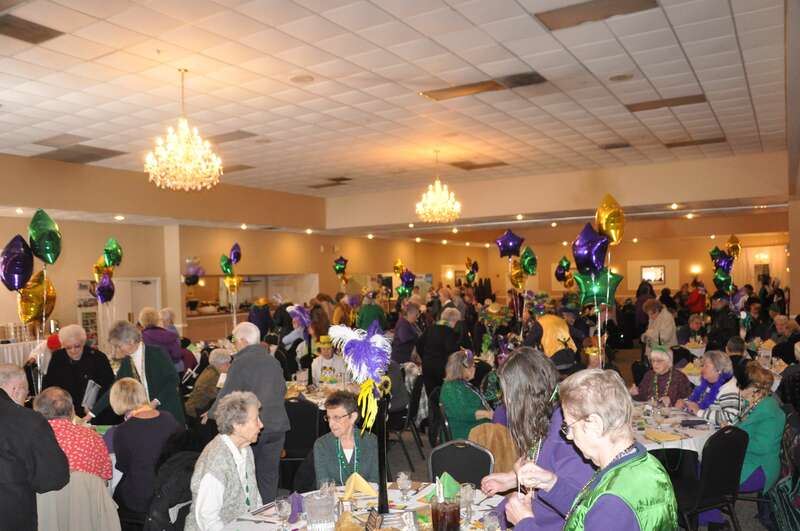 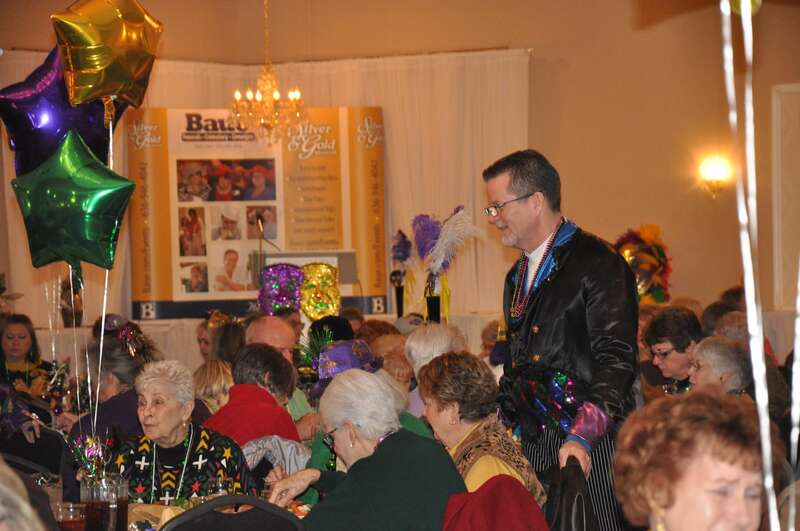 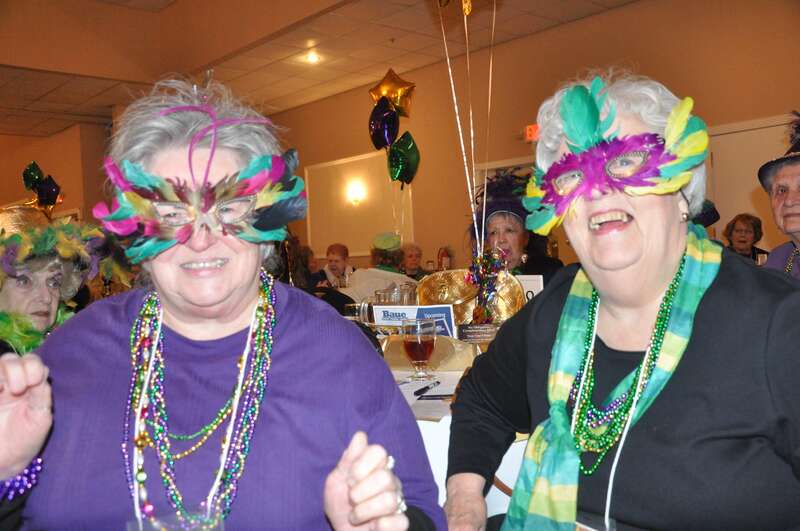 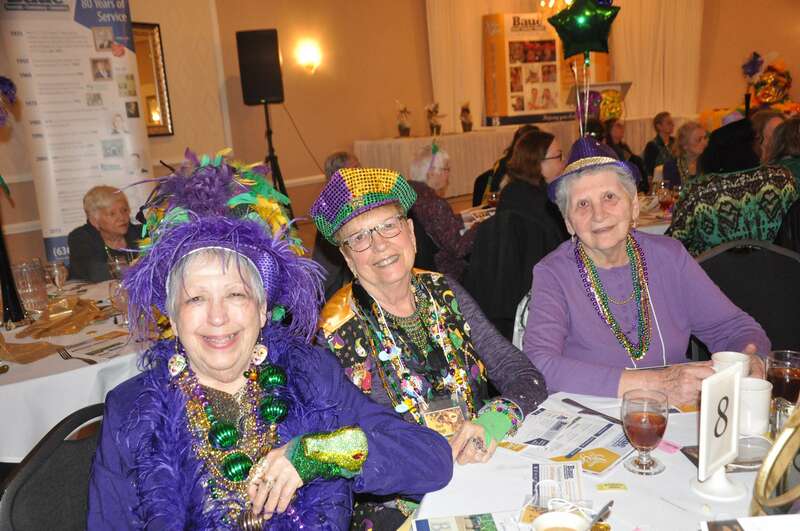 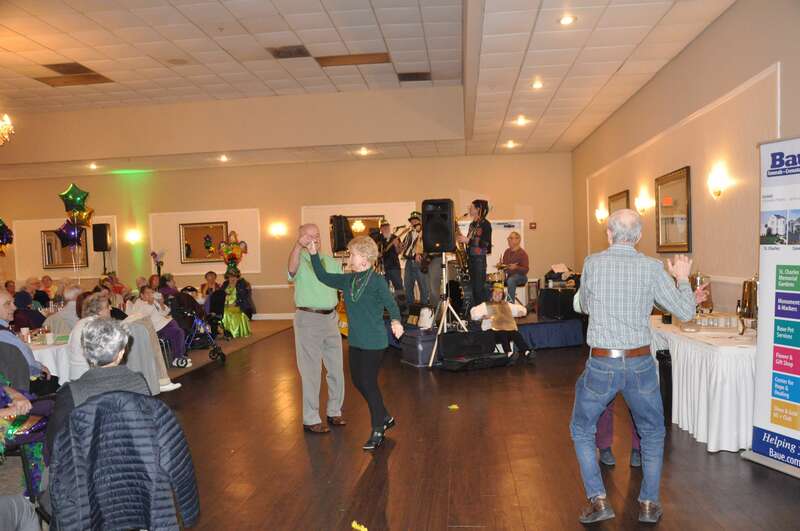 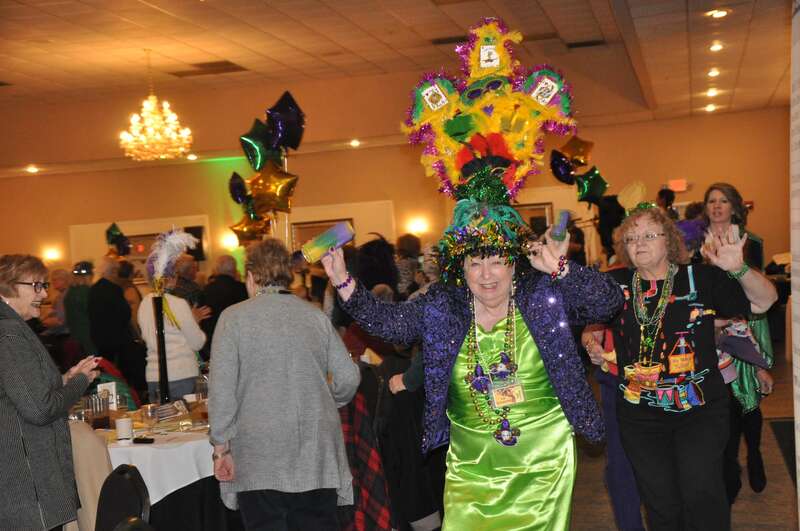 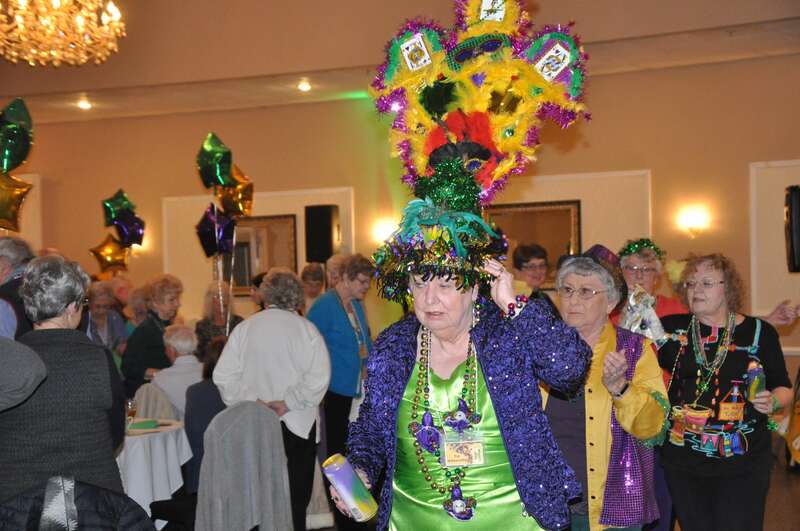 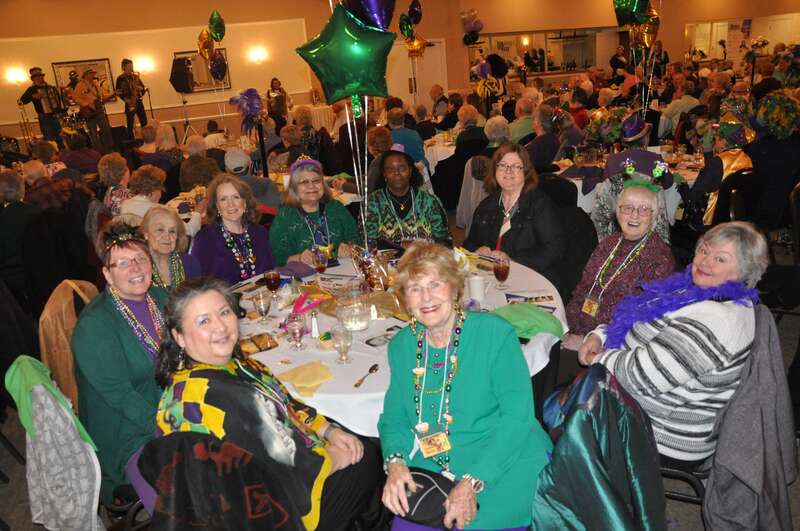 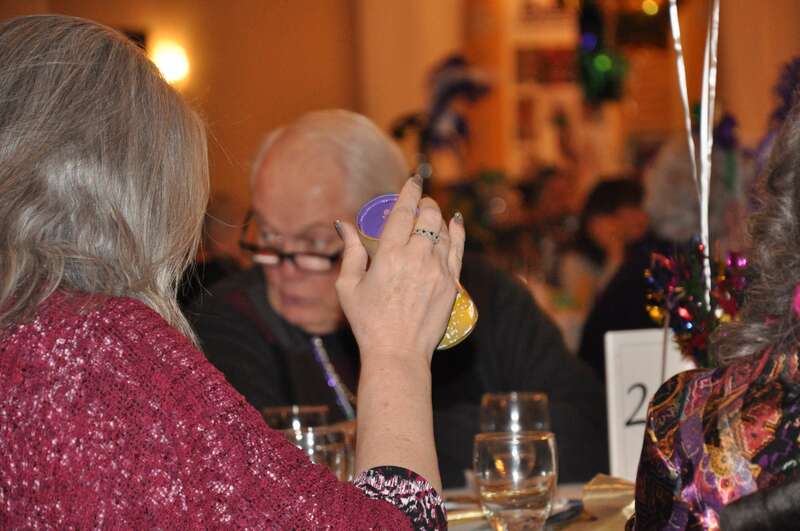 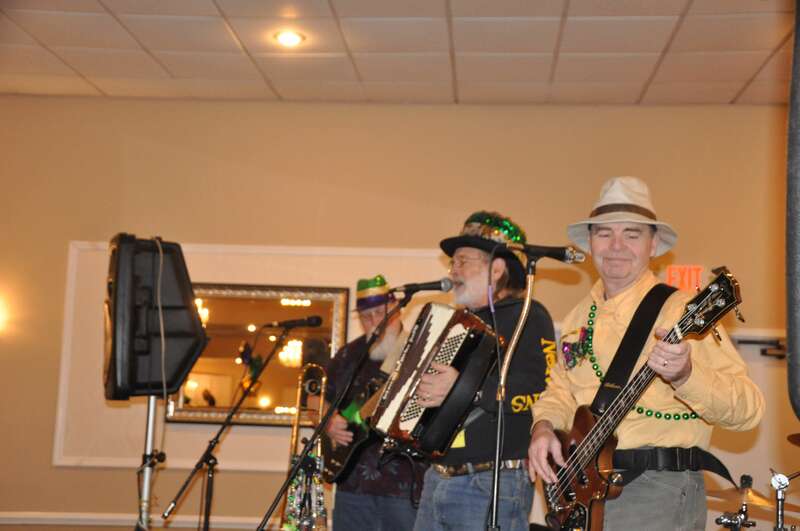 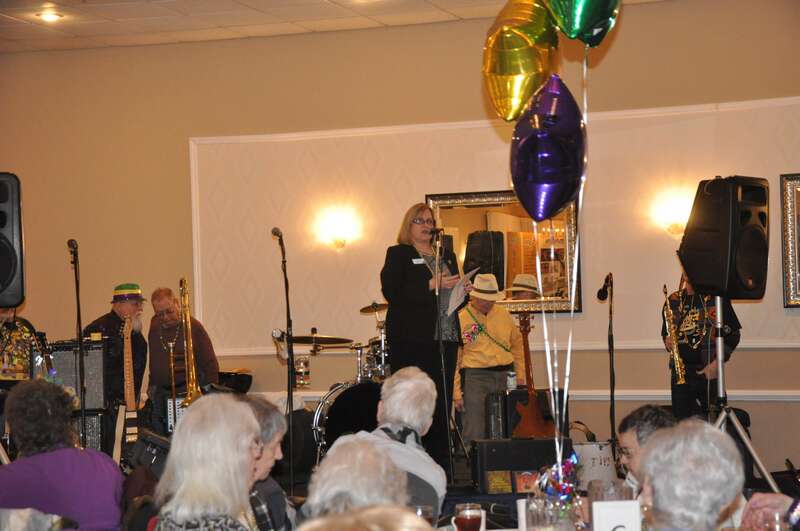 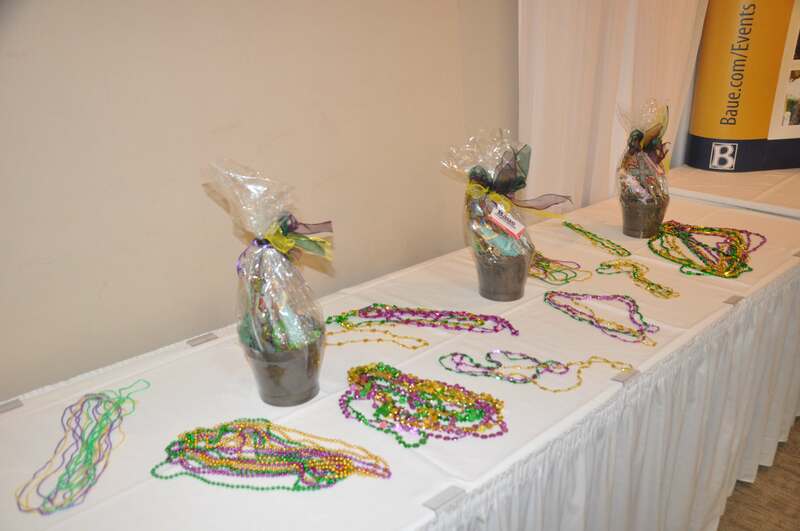 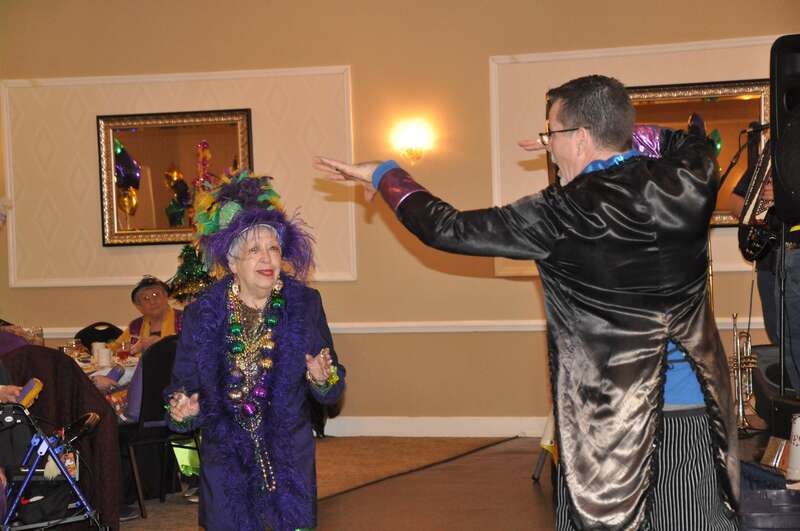 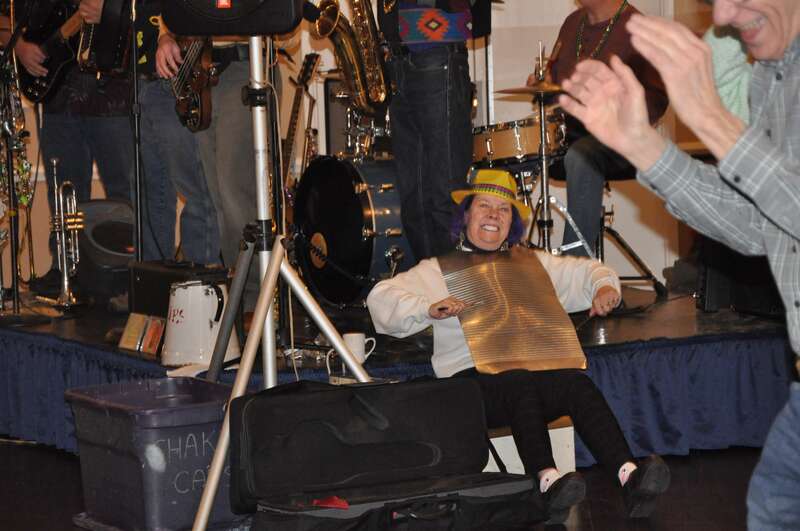 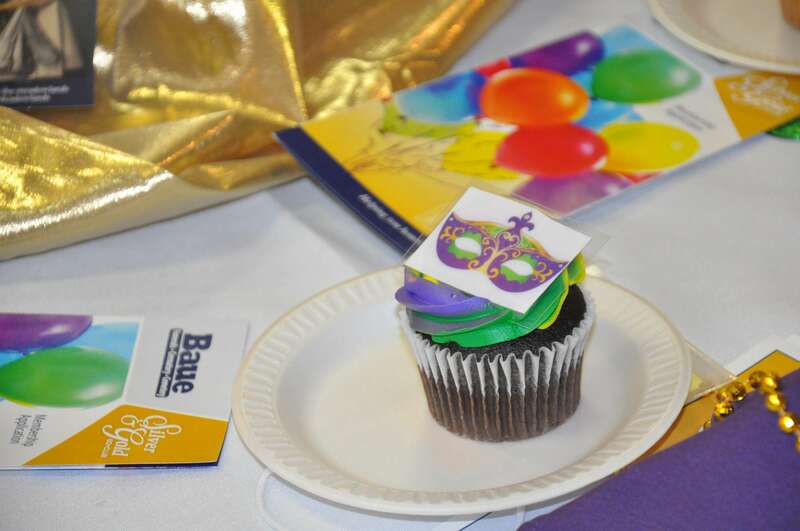 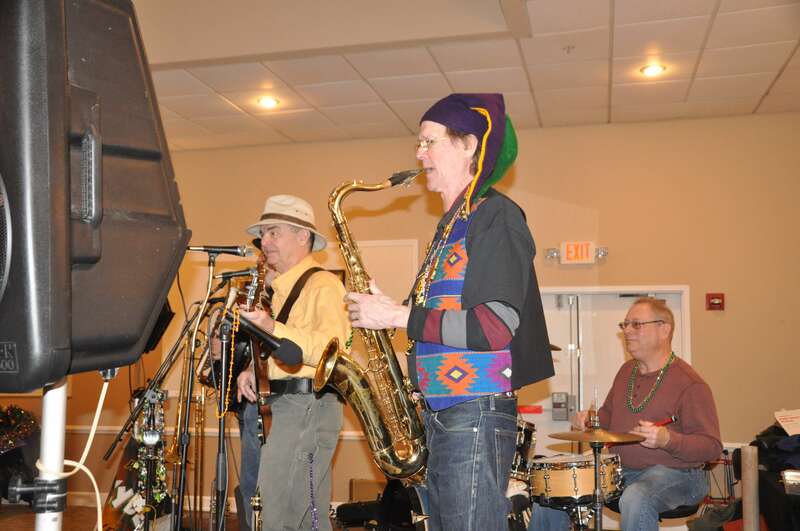 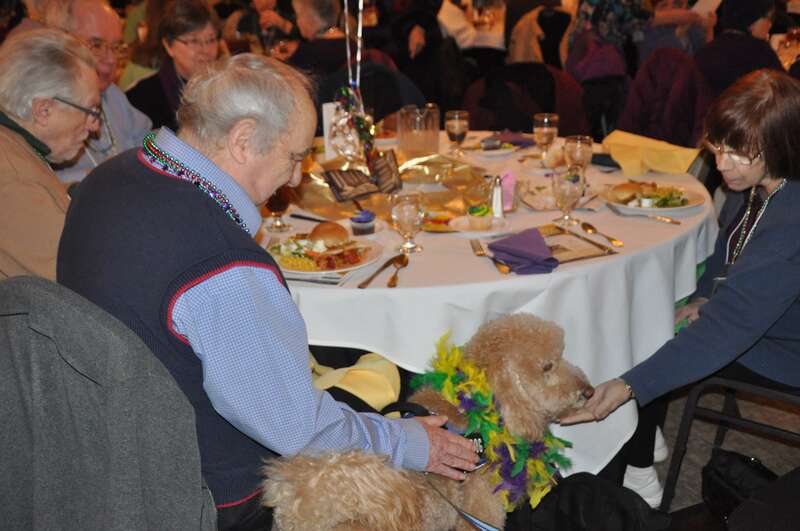 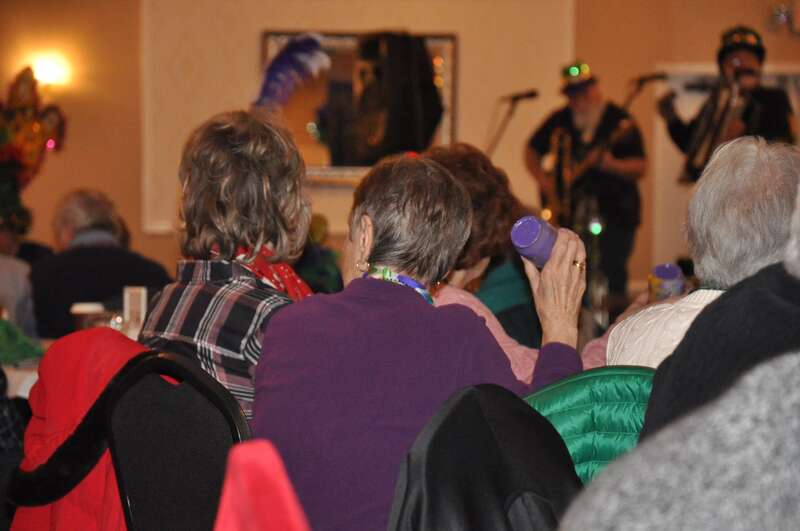 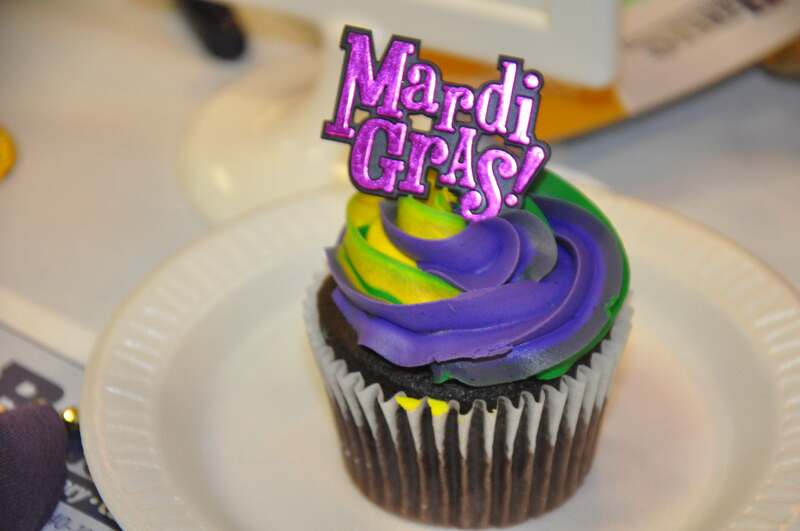 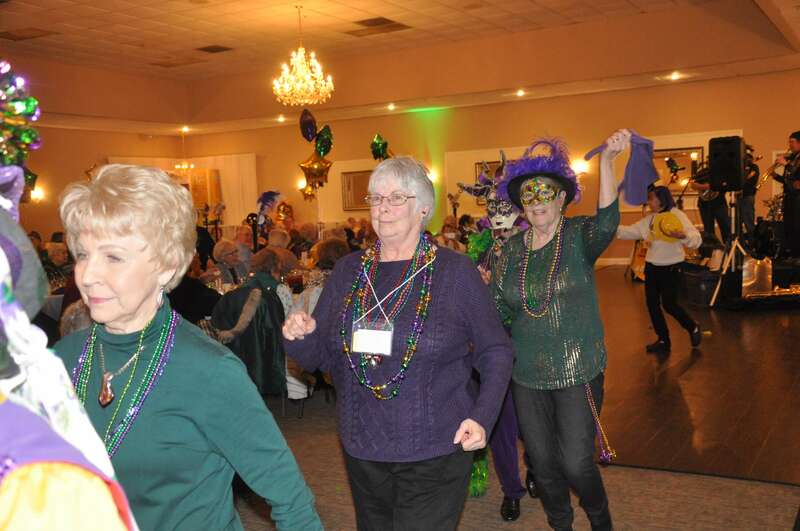 Our Silver & Gold Club members celebrated Fat Tuesday at our Mardi Gras themed Luncheon at The Christy Banquet Center sponsored by Assisted Living at the Meadowlands! 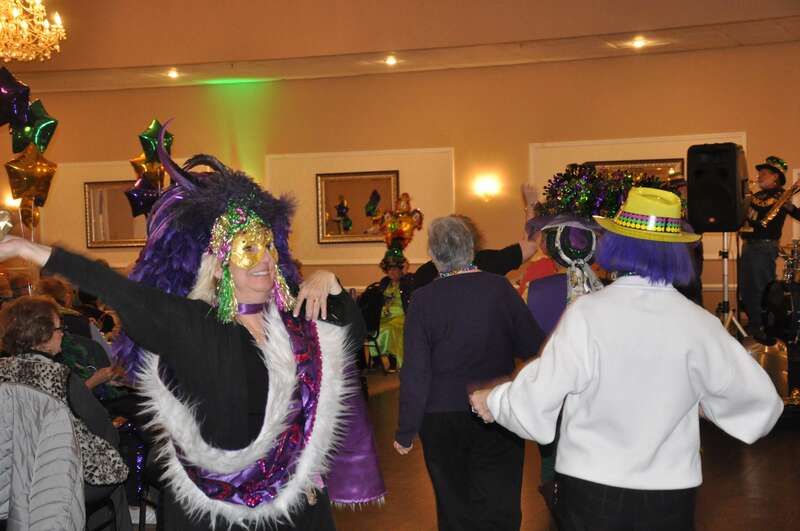 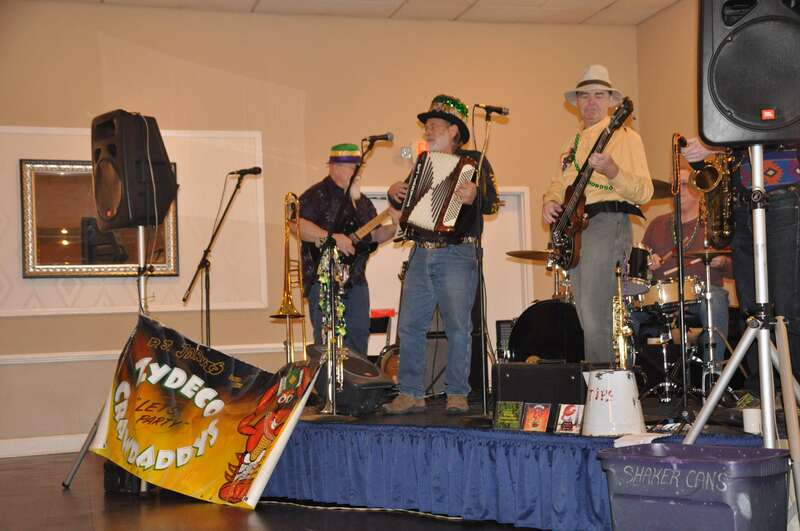 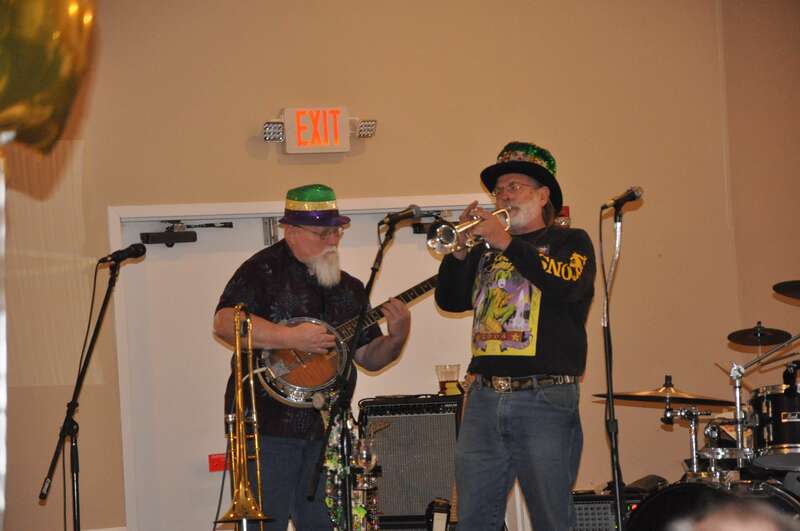 We had a rocking fun time dancing to the music of Zydeco Crawdaddys, while decked out in our most dazzling, colorful Mardi Gras costumes! 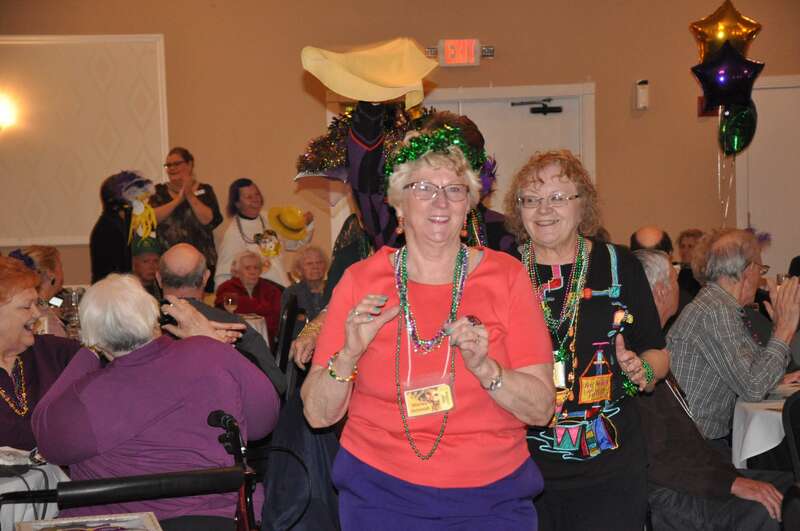 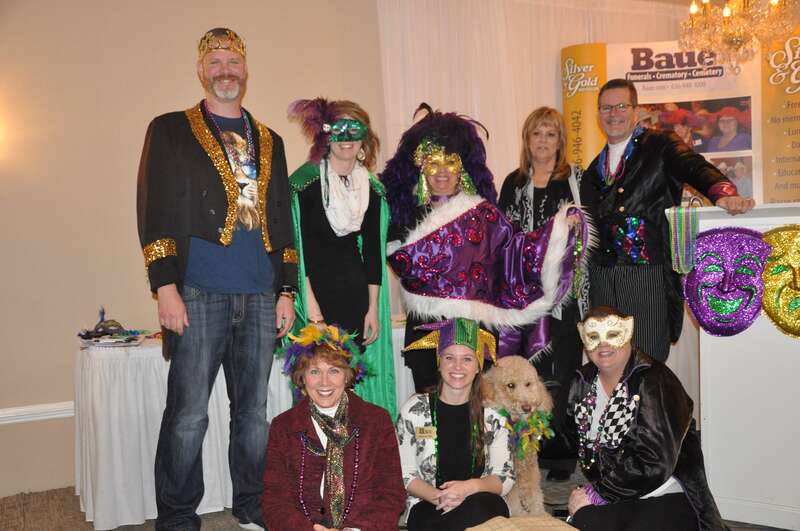 We even had our own Mardi Gras Parade! 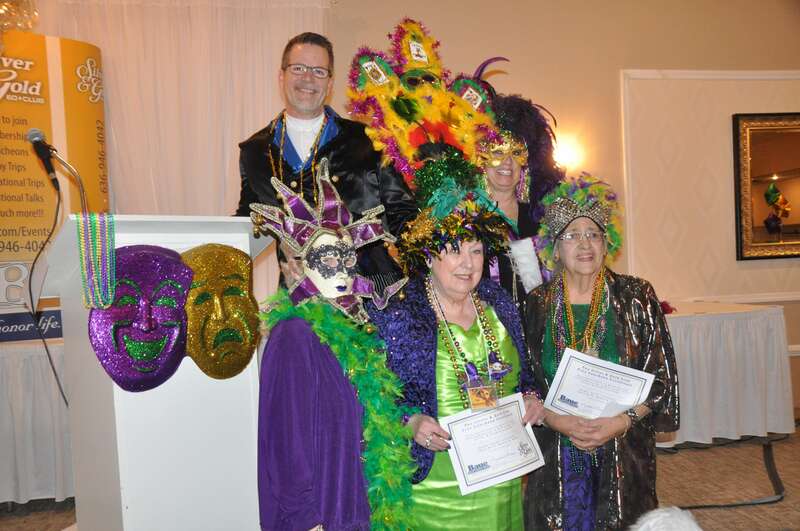 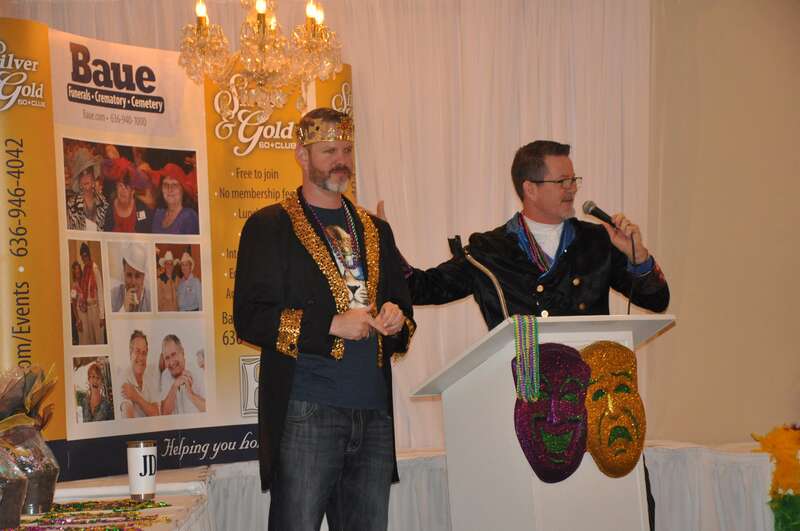 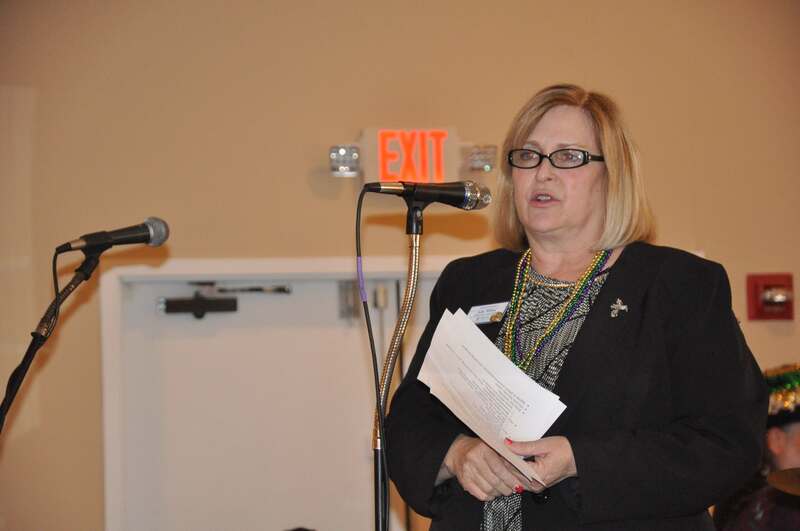 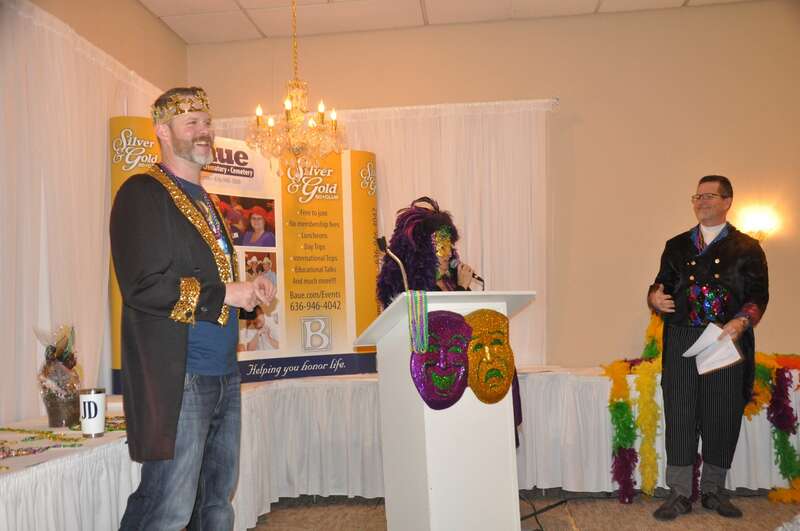 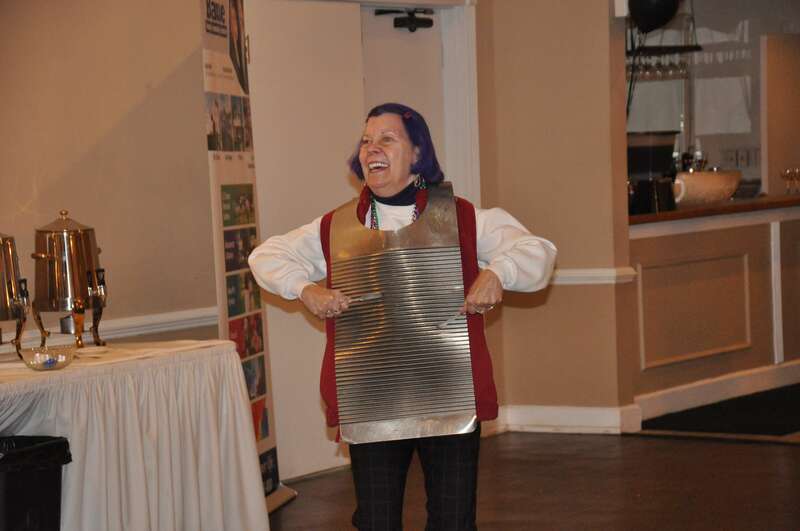 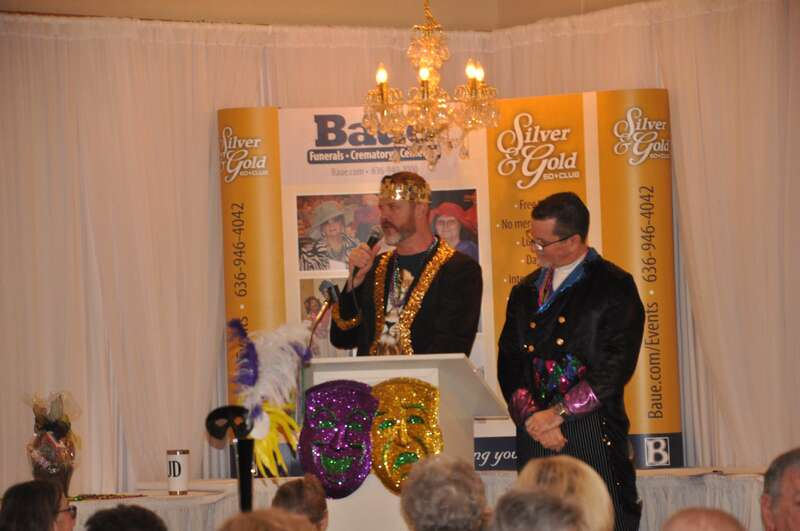 Our best-dressed attendees even received free Luncheon Certificates to an upcoming Silver & Gold Luncheon too! 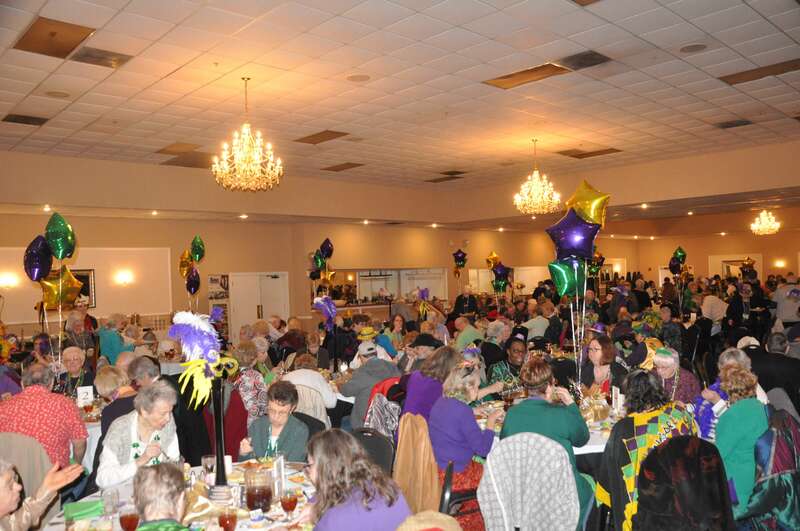 We noshed on some delicious Cajun style food provided by The Christy Banquet Center! 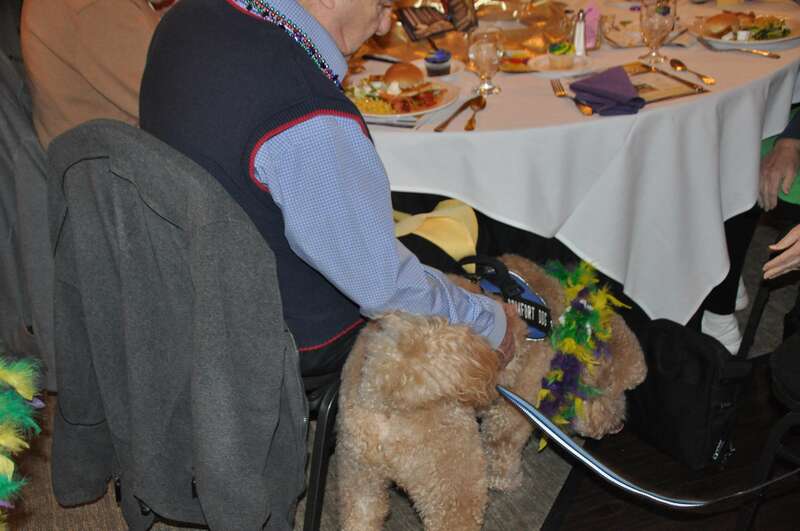 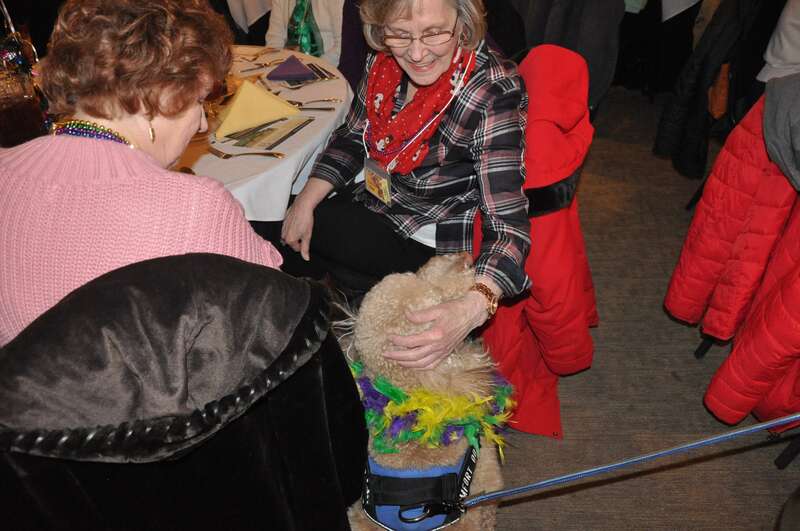 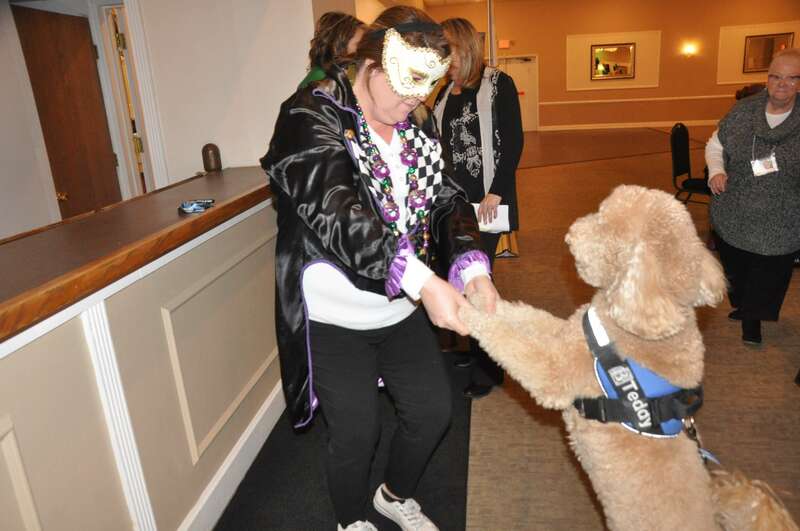 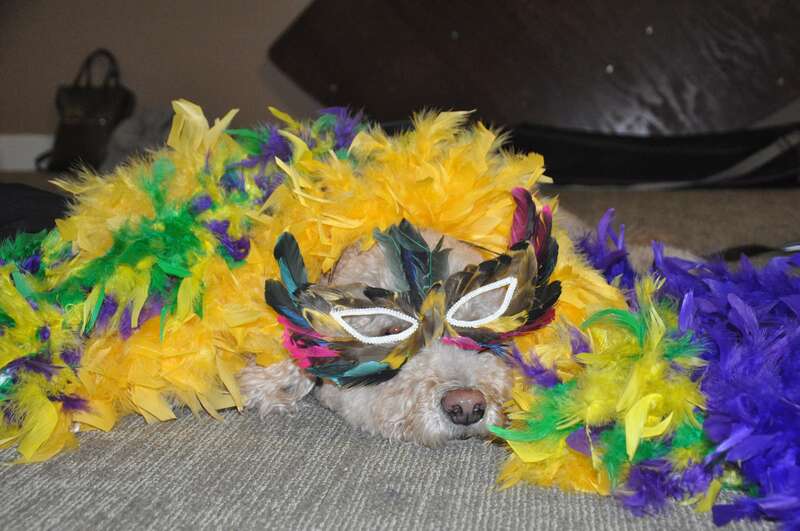 Teddy even dressed up and enjoyed getting belly rubs and socializing with our club members! 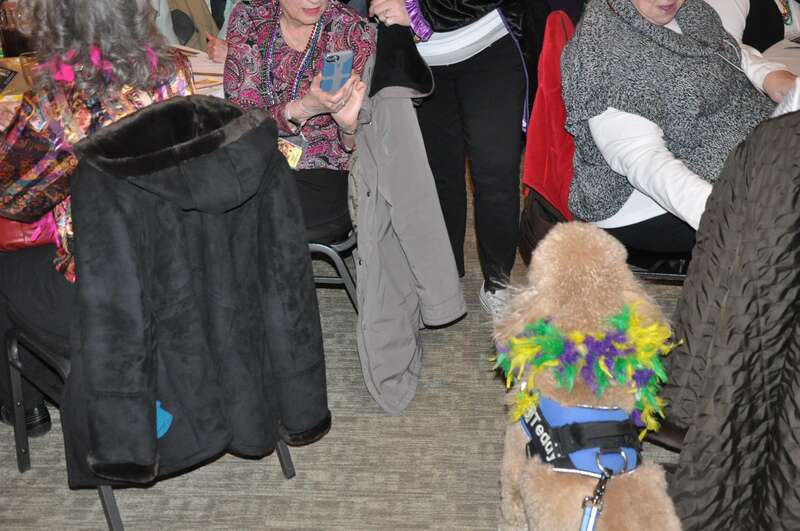 He had a blast hanging out with everyone! 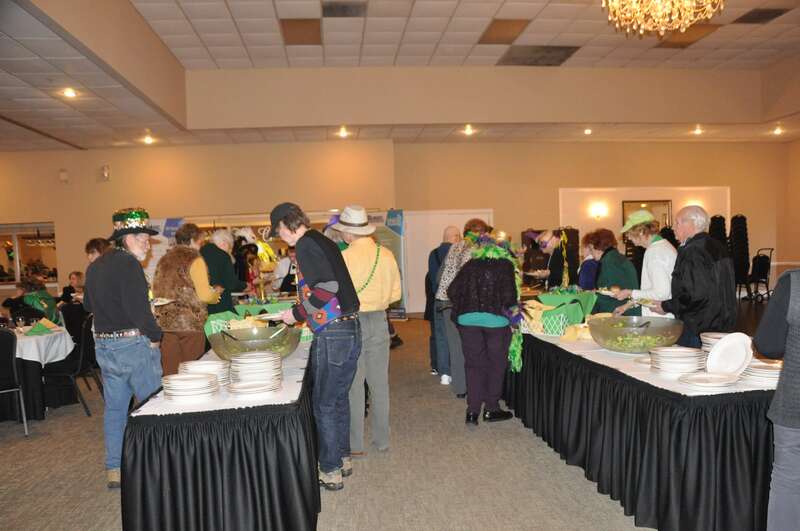 Our next luncheon is Kentucky Derby! 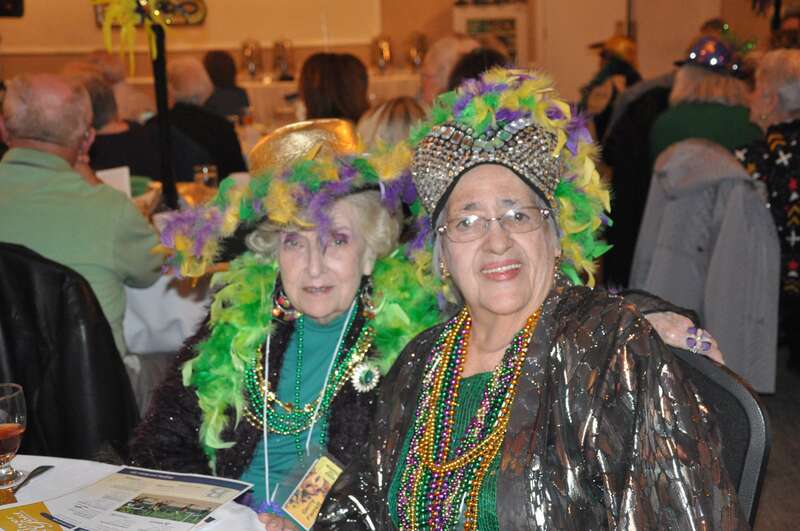 Join us April 30th, dressed in your best Derby-themed attire! 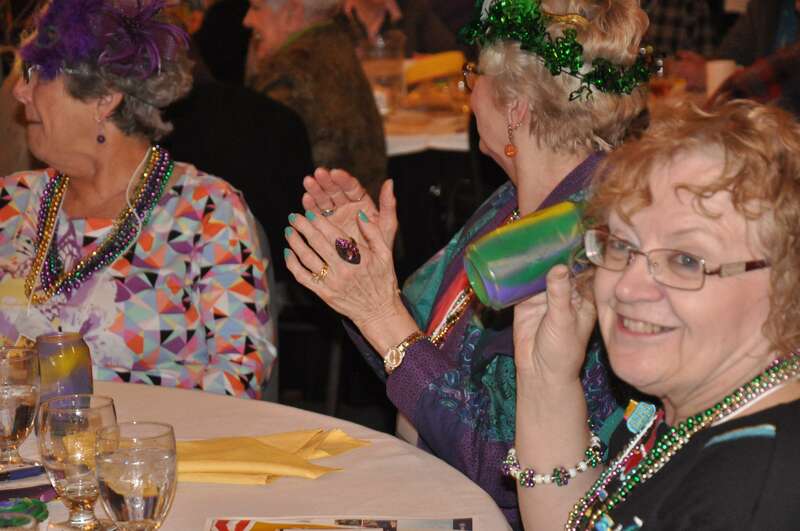 For more information and to register, click here!